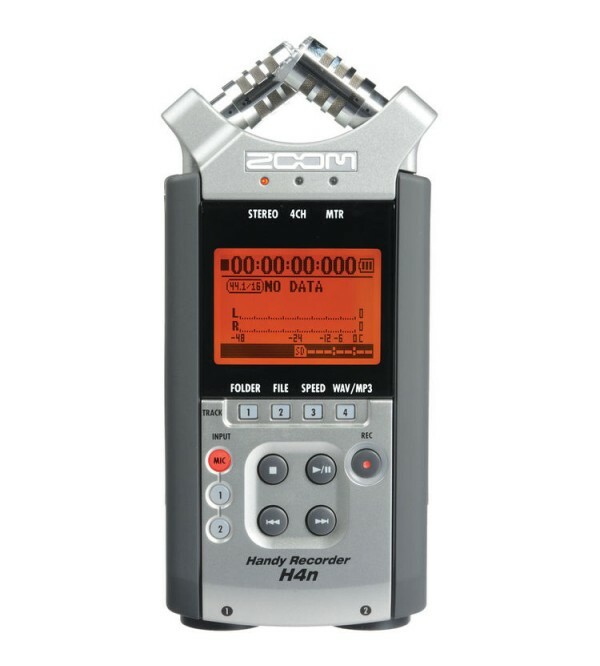 The Zoom H4n is a 96 kHz/24-bit portable digital recorder that runs on two AA cells, its included AC adapter or USB power. It comes complete with its own microphones. 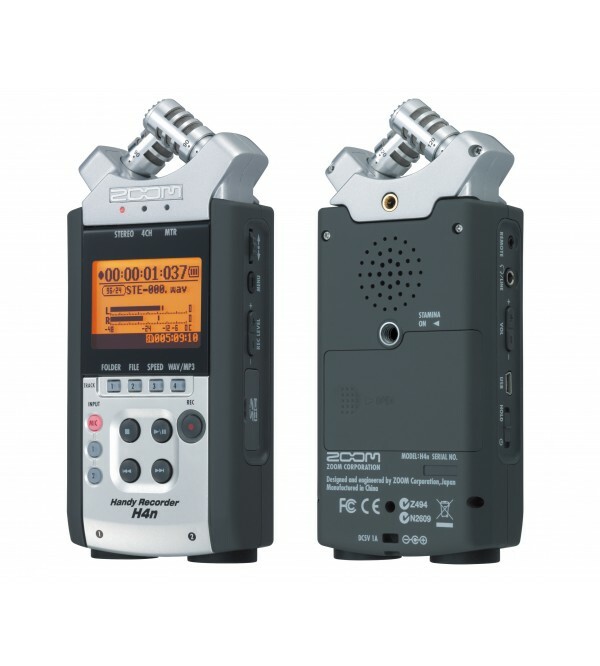 Originally designed for musicians, the Zoom H4n has become especially popular with DSLR video and filmmakers over other portable recorders because it has direct XLR mic input connectors with phantom power, and because it can record as many as four channels at once from both the built-in mics as well as from two external sources. This recorder works for for anything, especially audio for DSLR or other video. You put this recorder up at your subject and let it run, then use software like Plural Eyes to sync the audio to video later. You shoot from where you need to shoot, and the audio is recorded clear and up-close in either direct-to-MP3 or up to glorious 96kHz/24-bit digital stereo separately from your DSLR without any big mics on-camera, or even any wires. As portable recorders go, this one has more features and is bigger and heavier than others. Its not pocket sized, although it will fit in a big cargo-shorts pocket. You can just leave it on a lectern, or mount it to a camera tripod with its ¼"-20 socket, or use the included mic-stand adapter to use it with any mic stand and most any mic clamp. Its too big for my tastes, but yes, you can mount it on a cameras hot shoe and either let it record by itself, and/or plug its outputs into your cameras audio inputs. Its digitally-controlled Auto Record Level control works great: it starts at maximum gain, and knocks the level down as needed to prevent overload. Unlike analog ALCs, once knocked down, the gain doesnt start climbing back up. The gain stays at the maximum possible level for each take, never pumping up and down. For spoken word and reporting, this is great. I use the Auto Level control and have one less thing to worry about. It records as .WAV or as .MP3 files. It cant record both at once, but it can create MP3 files from WAV files. It works great. It is super-easy to figure out and immediately record broadcastable files. When the REC light is blinking, youre ready, and when REC is solid, youre rolling. Want to make a great downloadable file? Just set it to 128 kbps MP3, record, and upload. Done.